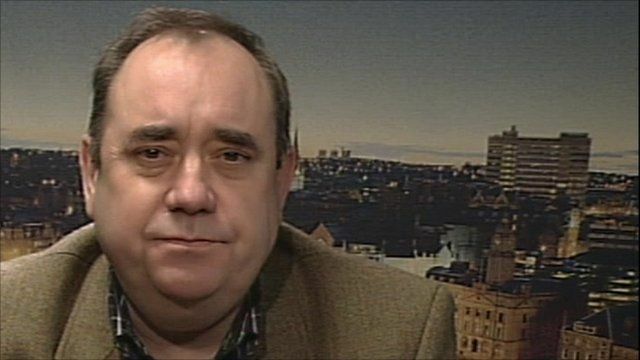 Salmond 'very sad' over resignation Jump to media player Scotland's First Minister Alex Salmond said he was 'very sad' at the resignation of Scottish Transport Minster Stewart Stevenson. Minister resigns over snow chaos Jump to media player Scotland's Transport Minister Stewart Stevenson has resigned after the country was brought to a standstill by severe weather. 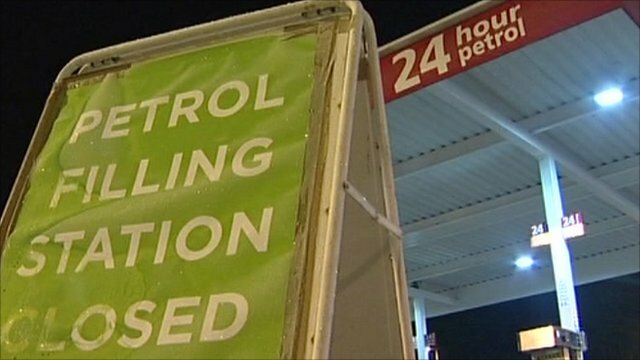 Winter weather hits fuel supplies Jump to media player Many petrol stations across Scotland are running out of fuel because of the snow, and there are supply problems in other parts of the UK. 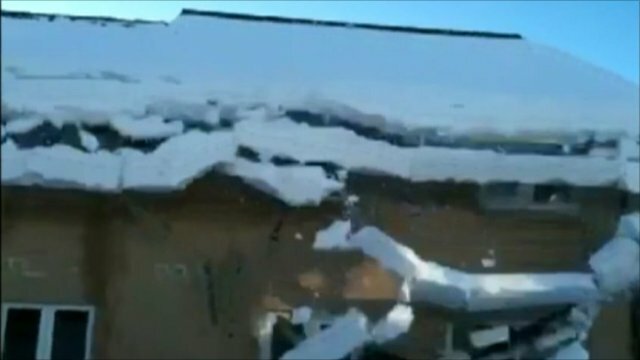 DIY pair cause home avalanche Jump to media player Two men in Fife have caused a mini-avalanche after trying to clear their gutters of ice to prevent any structural damage. Scotland's First Minister Alex Salmond has said he was "very sad" at the resignation of Scottish Transport Minster Stewart Stevenson. 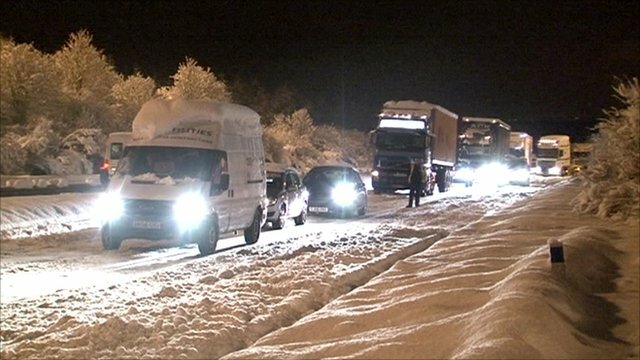 The minister resigned over his handling of the travel chaos caused by the extreme winter weather after snow and ice brought much of central Scotland's road network to a standstill earlier this week. Alex Salmond said he was "very sad that a decent man, a competent minister, has been forced into resignation because of the extremeties of the climate''.